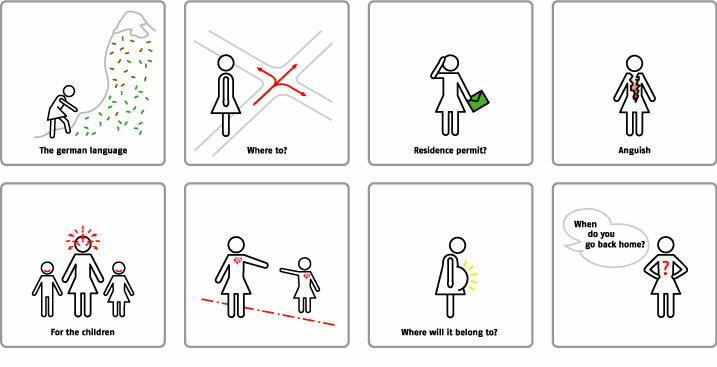 Working with public urban spaces as a platform, migrantas uses pictograms to provide visibility to the thoughts and feelings of people who have left their own country and now live in a new one. Mobility, migration and transculturality are not the exception in our world, but are instead becoming the rule. Nevertheless, migrant and their experiences remain often invisible to the majority of our society. Migrantas works with issues of migration, identity and intercultural dialogue. Their work incorporates tools from the visual arts, graphic design and social sciences. The founders of the collective, who have immigrated to Germany, develop their projects with other migrants in workshops. The resulting drawings are then condensed into pictograms and distributed in public spaces. Migrantas meets with migrant in their own collective spaces - organisations, community centres, cultural groups - and organizes workshops to reflect together on issues of migration. Migrants from very different national, cultural and social backgrounds, also with different residency statuses, exchange their experiences and express these in simple drawings. After a careful analysis of all the drawings from different workshops, migrantas culls key elements and common themes from the drawings and translates these central motifs visually and artistically into pictograms - a visual language and a language accessible to everyone. 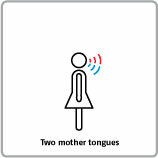 Pictograms are the visual language of migrantas. Their simple, universally understandable images stir emotions: people from different backgrounds recognize themselves in the representations, while others gain new insights or modify their own perspectives. All migrantas projects end with an exhibition. The participants now see their drawings presented in public and experience public recognition of their voices and social participation. Visitors to the exhibition receive an opportunity to become better acquainted with the experiences of migrant women. Projects | For more information, please click on the titles. Project to sensitize and raise awareness among students about important issues of coexistence in today's immigration society. Funded by the Integrationsbeauftragte des Landes Brandenburg. Project that aims to improve healthcare access for vulnerable migrants and refugees by developing and implementing models based on the knowhow of a European multidisciplinary network with particular focus on women and unaccompanied minors who have recently arrived to Europe. Project to sensitize and raise awareness among students about important issues of coexistence in today's immigration society. Participants: Free School Angermünde e.V. 8th, 9th and 10th grade, Goethe Kremmen Primary School 4th grade, Frankfurt Protestant Primary School or 4th grade, Astrid-Lindgren-Schule Wusterhausen 5.A u. 5.B grade, Niedersorbisches Gymnasium Cottbus 7th grade, Waldschule Oranienburg, 5th grade. A project of RAA Brandenburg and Kollektiv migrantas in cooperation with the State Integration Officer of Brandenburg. Funded by the MBJS and Integrationsbeauftragte des Landes Brandenburg. Awareness and debate about the rights of children. A project for the Johanna Esck Schule school in cooperation with the AG School without Racism - School with courage. With the kind support of printing press Luis Drews. Funded by Berliner Projektfond Kulturelle Bildung Tempelhof-Schöneberg. Workshops in : VIA – Produktionsschule, Jugendhaus Park in, Frauenaus allen Ländern, Frauenhaus Tirol. 41 participants from different social and cultural backgrounds from Afghanistan, Ethiopia, Bosnia, Bulgaria, Germany, Iraq, Iran, Italy, Kurdistan, Morocco, Nigeria, Austria, Serbia, Slovakia, Somalia, Chechnya, Turkey, Uzbekistan. Transformation of 118 drawings into 22 pictograms. Presentation of the results and Picto-transfer-action on the opening day. 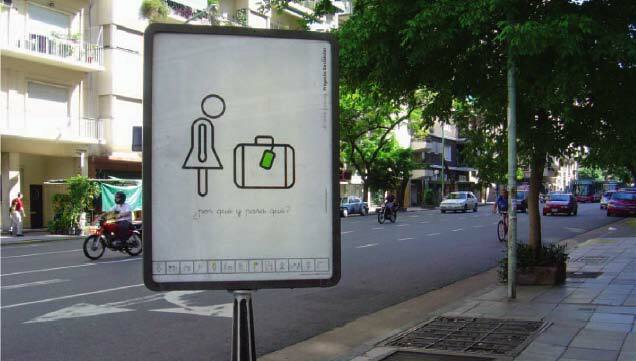 Urban Action: Insertion from 6 pictograms in the public space through posters. 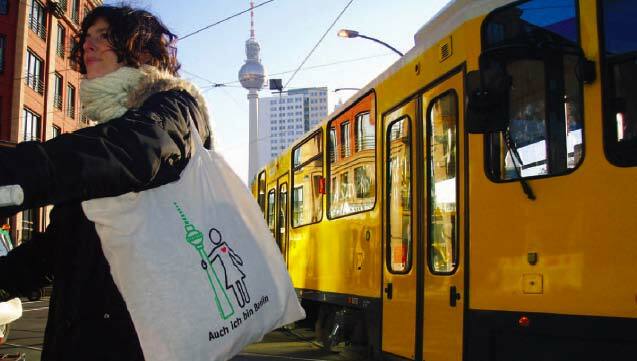 Distribution of 150 bags with the pictogram "Menschenrechte statt Rechte Menschen" during the exhibition. Street art in Jugendhaus Park in. A project in collaboration with Initiative Minderheiten Tirol und ArchFem – Interdisziplinäres Archiv für feministische Dokumentation.Soziales. Explanation of the art object Topics of migration, identity, intercultural dialogue and coexistence were reflected in the intercultural Nähcafé in the Stadtteilzentrum Marzahn-Mitte on the 13th of December 2016. 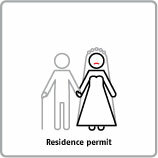 Visitors selected pictograms, which symbolize the most social participation in Marzahn-Hellersdorf. This art object reflects the intercultural reality of Marzahn-Hellersdorf and offers inhabitants the chance to have different views on their own neighborhood. The interactive object is located in Merzahn Hellersdorf until 17.07.17. Objet: idea, migrantas; realization: plott-o-mat und KUNSTWERKSTATT MARZAHN. 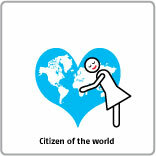 A project of Migrantas e.V. in cooperation with Migrationssozialdienst in Trägerschaft der Volkssolidarität Berlin, financed by Senatsverwaltung für Gesundheit und Soziales. In Workshops: Eulalia Eigensinn e.V. und HÎNBÛN Internationales Bildungs– und Beratungszentrum für Frauen und ihre Familien. 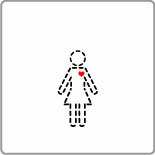 Pictograms: From 90 drawings of women of different residence status, cultural or social background who have experienced violence is a series from 19 pictograms designed. 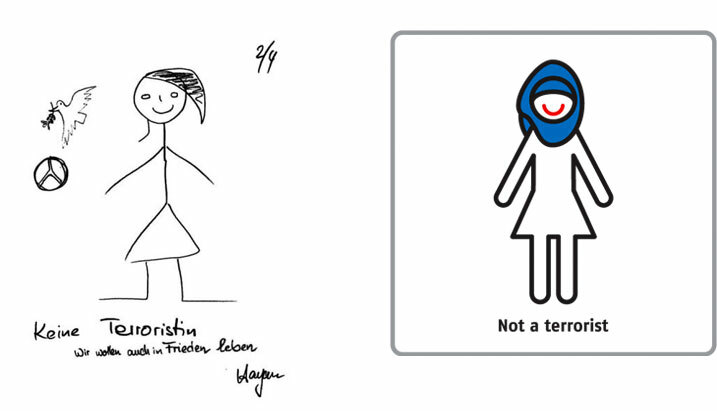 Exhibition: presentation of the results on the International Day for the Elimination of Violence against Women (25th Nov) and Picto-bag-action, with 90 original drawings of the participants, series of 19 pictograms and visual impressions of the project. Urban action: citybanner, postcards, poster, stickers. With the support from: Bezirksamt Spandau von Berlin: Abteilung Soziales und Gesundheit und die Frauen- und Gleichstellungs- beauftragt | Senatsverwaltung für Arbeit, Integration und Frauen and the Spandauer Netzwerk gegen häusliche Gewalt - Network against domestic violence. In July 2016 two workshop in Folium and Asylum center Sonnenhof Emmen. With 29 migrants and refugee with different national, social and cultural backgrounds from Afghanistan, Argentina, Bangladesh, Eritrea, Germany, Indonesia, Iran, Iraq, Italy, Japan, Kazakhstan, Colombia, Lebanon, Mexico, Nigeria, Pakistan, Somalia, Syrie. Development of a series of 21 pictograms. 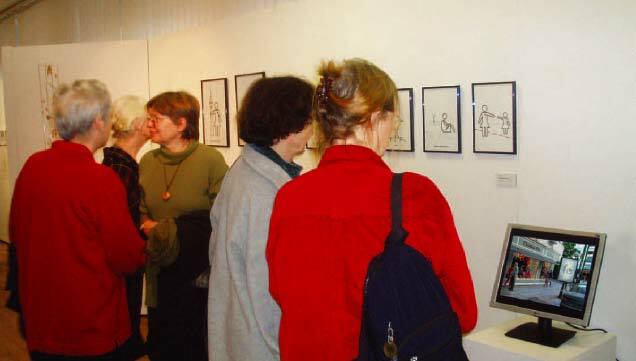 Exhibition: with 90 original drawings of the participants, series of 21 pictograms, visual impression of the project. and Picto-transfer-action on the opening day. 17:08 until 25.08.2016 - Folium - Kalanderpl. 6, 8045 Zurich. Urban Action: Insertion from three pictograms in the public space through posters. Distribution of 400 bags with the pictogram "No to Racism" during the exhibition. A project of migrantas as part of the art project Summerlab - Mythen.Muster.Migration. With the support by: Folium. In April 2016 four workshop in Sin Fronteras, Casa de los Amigos A.C., Casa de Acogida y formación para mujeres y familias migrantes (CAFEMIN) y Casa Tochán were carried out togheter with 24 women, 1 transgender und 27 men from Argentina, Germany, El Salvador, USA, France, Guatemala, HAiti, Honduras, Italy, Nicaragua, Nigeria, Russia and Togo with a different residence status, cultural or social backround. Development of series of 23 pictograms. Exhibition: Presentation of the results from the project and Picto-transfer-action on the opening day. Urban action: 14.04 to 30.03 - Insertion from five pictograms in the public space through street art, Led screens, bilboards and digital dillboards. A project in collaboration with the Goethe Institut and Sin Fronteras. With support in urban campaign from the communication companies: 5M2, Clear Channel, Raksa and VGM Group. With the support from the Regierende Bürgermeister von Berlin Senatskanzlei Kulturelle Angelegenheiten within the Partnerschaft of Mexiko City and Berlin. Project in cooperation with: Grundschule im Moselviertel und Hufeland Schule Berlin. Sponsored by the Programm Demokratie leben! Des Bundesministeriums für Familie, Senioren, Frauen und Jugend. Pictogram-Workshop & Poster Campaign | Pictogram workshop as part of International Women´s breakfast in collaboration with the Kunstmuseum Ahlen. Reflected together on migration, identity, intercultural dialogue and coexistence. 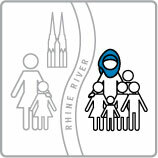 The women have democratically chosen the pictograms that best symbolize the social participation from the city Ahlen. Poster Campaign on the International Day of Migration. A project under Demokratie leben!. Sponsored by : AWO Warendorf, Bürgerzentrum Ahlen and Stadt Ahlen. In October 2015 two workshops were carried out together with 45 women and 27 men from Algeria, Argentina, Brazil, Burkina Faso, Canada, Colombia, Chile, China, France, Germany, Haiti, Iran, Martinique, Mexico, Peru, Turkey and Venezuela with a different residence status, cultural or social background. Development of a series of 22 pictograms. Presentation of the results and Picto-transfer-action on the opening day. Exhibition: From 17.10 to 28.10 with 189 original drawings of the participants, series of 22 pictograms and visual impressions of the project. Hôtel de Ville, 275 Rue Notre-Dame E, Montréal, QC H2Y 1C6, Canada. Free Cards and posters in Montreal city. A project in collaboration with the Goethe Institute and with the support of the Stadt Montréal, La Maisonée, le Carrefour de Ressources en interculturel und le Centre Lartigue. Workshop with migrants in transit. 3 women and 7 men from El Salvador, E.E.U.U. and Honduras from different social, cultural backgrounds and legal status. Casa Tochan, México DF. Development a serie of 15 pictograms. In the International Conference on Migration and Human Security presentation of the results and pictogram transfer action onto bags. Exhibition: 26 original drawings of the participants, serie of the 15 pictograms created by migrantas, selection of 8 pictograms in roll-ups, postcards, stickers, posters and visual impressions of the project. Cine Lido. Tamaulipas 202. Cuauhtémoc, México DF. 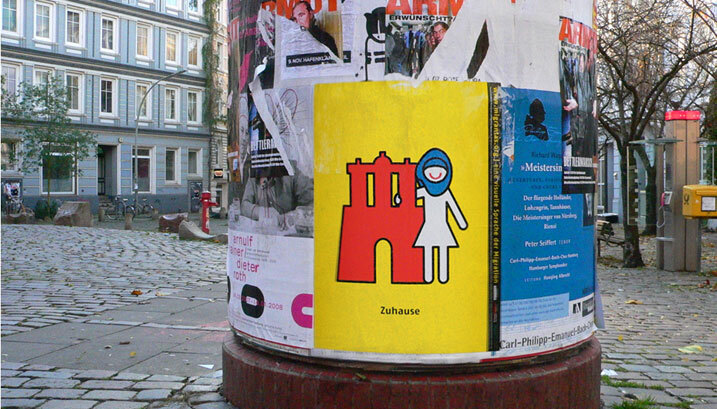 Urban Action: 8 pictograms in posters, postcards and stickers. Centro Cultural Universitario Tlatelolco (UNAM), Centro Cultural de España (EEC) Plaza Loreto Shopping, International Airport of México City (AICM). 3 pictograms for mass distribution. Project as part of Programa Conjunto de Migrantes en Tránsito, sponsored by Fondo Fiduiciario de las Naciones Unidas para la Seguridad in collaboration con Unidad de Política Migratoria SEGOB. 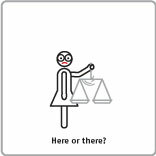 A serie of 18 pictograms designed by migrantas as a result of 66 drawings in two workshops by 8 women and 5 men from different national, cultural and social backgrounds, and legal status, from the following countries: China, Denmark, Djibouti, Germany, Netherlands, Portugal, Serbia, Sierra Leona, somalia, United Kingdom and Uruguay. Carried out in November 2014 at Solfred-Laksevag and Room8-Bergen. Urgan Action on the occasion of Internationa Migrants Day 18th December: Street dislays in the city centre of Laksevag, Lille Lungardsvann and Bergen. A project in cooperation with Grafill Norway. Support: Grafill and Pictogram-me Bergen Academy of Art & Design. In October 2014 two workshops were carried out together with women and men from 20 different countries and cultures. 50 drawings. Development of a series of 15 pictograms. Exhibition and Pictogram-transfer-action in Aeroporto de Ponta Delgada, Sao Miguel. From 23.11 to 23.11 Free cards and posters in Angra do Heroismo, Horta, Ponta Delgada, Praia da Votoria and Ribera Grande. A project in cooperation with MaLA Cooperativa Cultural. Funded by Government of Azores. "Make a wish: Word Peace!". In cooperation with Japanische International Schule München e.V. and Rheingau-Gymnasium, Berlin. Support: Japanische International Schule München e.V. How multicultural is Berlin? How charming is Berlin? How tolerant is Berlin? And what´s the word on the street? 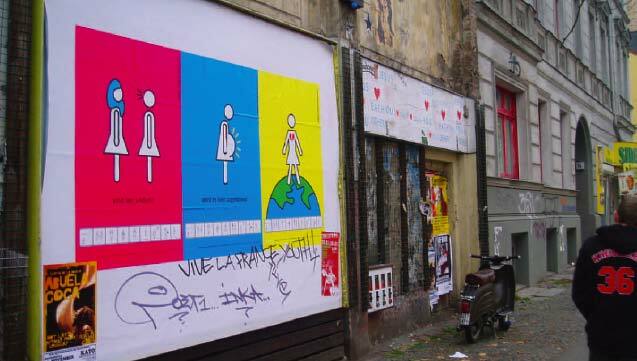 Voices of images (Die Stimmen der Bilder) is a participatory project in urban areas of Berlin.From July 21, 2014 to August 10, 2014 large-format banners with pictograms by migrantas will be on display at five locations in Berlin. The empty speech bubbles on the banners provide people in Berlin with the space to answer these questions. The results of this urban action will be shown as part of an exhibition held on International Human Rights Day on December 10, 2014. Funding: Beauftragte des Senats von Berlin für Integration und Migration. Togheter - Images of Diversity. A Project from migrantas and Book your Story!. In collaboration with Instituto Cervantes Berlin, HausRadio and Radio Europe-Estacion Sur. In cooperation with: Joan Miro Grundschule. Funding: Berliner Projektfonds Kulturelle Bildung. Workshops about the professional recognition with the following associations: Colon Language Center and Verikom e.V. A serie of 10 pictograms was developed and exhibited from 28.03 to 22.04.2014 at Elbcampus Kompetenzzentrum Handwerkskammer. 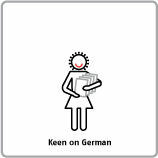 Urban actions: Selecction of 4 pictograms were put up in 70 of Hamburg´s underground stations and on around 200 columns throughout the city with a free cards campaign. A project in cooperation with IQ Network Hamburg-Nobi and the Förderprogram IQ. Artistic interventions - collaborative and self-organized practices. Since February 2013. Workshops held during February and April with the following associations: Xochicuicatl e.V., Treff- und Informationsort für Migrantinnen (TIO) e.V., TO SPITI Interkullturelles Frauen und Familienzentrum, UGRAK Beratung - Kurse - Treffpunkt für Frauen aus der Türkei, und Hinbun Bildungs- und Beratungszentrum für Frauen und Ihre Familien. Open Workshop at the Haus der Kulturen der Welt and Instituto Cervantes. Urban actions: August. Exhibition from 9th to 27th August at the Rotes Rathaus, Rathausstraße 15-10178 Berlin, opening August 9th. Sponsored by: Senatskanzlei–Kulturelle Angelegenheiten in Bereich Interkulturelle Projekte, Haus der Kulturen der Welt und Beauftragte des Senats von Berlin für Integration und Migration. Since April 2013. Workshops: Friday 26.04. from 17 until 19 hs in Atelier des Kulturladens Villa Leon and on Samstag, 27.04. from 11 to 13 hs. Urban actions: July. Exhibition: July 2013 in the Villa Leon Philipp-Koerber-Weg 1, Schlachthofstr. 90439 Nürnberg. Sponsored by: Amt für Kultur und Freizeit/Inter-Kultur-Büro der Stadt Nürnberg. In cooperation with: 7. ISS Tempelhof-Schöneberg - Vörderverein der Werner-Stephan-Oberschule e.V. SESB: Aziz Nesin Primary School (German/Türkish), Joan Miró Primary School (German/Spanish) and the Finow Primary School (German/Italian). In this project we will be working together with two school classes: one from year 5, and the other from year 6. The project itself will develop out of a dialogue with the school pupils, who come from German and various other family backgrounds. This should lead to the production of pictures highlighting the ways in which inter-cultural self-awareness is expressed in everyday life. How is multi-linguality and multiple belonging experienced when it has been part of daily life since a young age? The process through which individuals develop self-awareness of their own cultural experiences and learn to interpret them positively, is of central importance here. 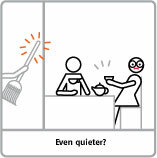 The aim of the project is then to portray this self-awareness in public spaces. This will be done via a fortnight-long presentation on the 'Berliner Fenster' on the city's underground train network. At the same time an exhibition in a central location will be held, and the press and everyone involved in the project is invited to the opening event. Funding: Berliner Projektfonds Kulturelle Bildung, Fördersäule 1, zweite Jahreshälfte 2011. Between March 5th and April 25th 2010 the Zeppelin Museum in Friedrichshafen exhibited “pictures of immigration at the local, national and international level”. On display were “works by artists who live and work in Germany, as well as pieces with a specific focus on the theme of migration”. Migrantas provided a number of exhibition pieces and organised a public action: individuals were invited to take part in a 'workshop station', where they were encouraged to draw about their own daily experiences and feelings of 'a new homeland'. By the end of the exhibition migrantas had developed three new pictograms which were then published as postcards. Action: During the exhibition 1,000 bags printed with the pictogram 'homeland here and there' were distributed. This conference and presentation took place on February 11th 2010 and was held at the 'Universidad Internacional de Andalucía' (UNIA). 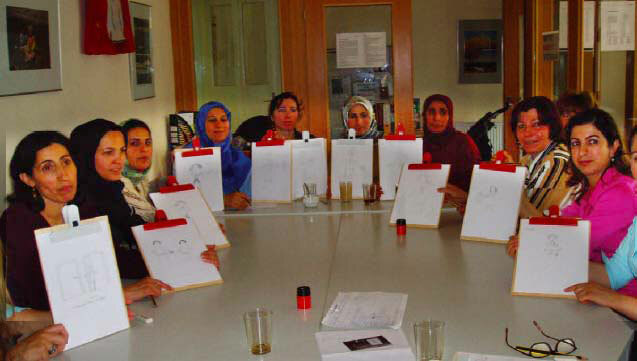 In March 2010 workshops were held in various social centres in Seville which led to new drawings, audio, photos and pictograms to be developed. On March 17th these were then exhibited at the 'Oficina de Derechos Sociales' (ODS) in the 'Centro Vecinal de Pumarejo'. On March 18th, during an interactive art event ('Intervenciones en Jueves') held at the Calle Feria flea market, posters displaying images of migration were put up in the streets, and postcards were distributed during an urban action. This project was part of the 12th international ZEMOS89 festival - 'Microbios, seres vivos diminutos' which was held between March 15th and 21st 2010, together with ZEMOS98, and sponsored by the UNIA. Migrantas put a selection of pictograms on display which were printed on postcards and posters. Photos of our projects and urban actions were also on display and were viewable on monitors. Thousands of postcards were also distributed during this exhibition. This was a showcase project undertaken as part of the 2008 Cologne intercultural week, together with the 'Bühne der Kulturen'. It was sponsored by the city of Cologne and held under the patronage of Mayoress Angela Spizig. It included workshops with migrant women, urban actions with pictograms on posters and postcards, and an exhibition in Studio Dumont. 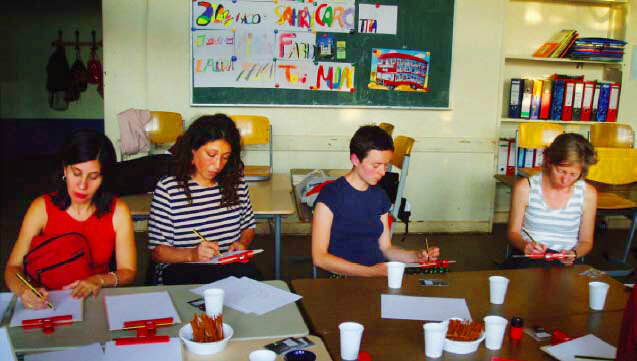 In September 2007 nine workshops were carried out together with women from 20 different countries and cultures. 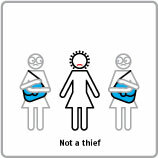 During November 2007 pictograms were designed and then displayed to the public on three posters. These were put up in 70 of Hamburg's underground stations and on around 200 Morris columns throughout the city. 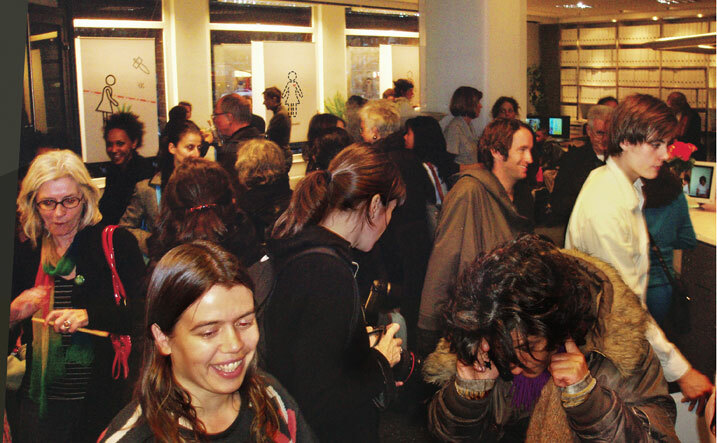 An exhibition was held at the FrauenFinanzGruppe's main buildings between November 9th 2007 and January 17th 2008. It was sponsored by the Fonds Soziokultur (Bonn, Germany), the Hamburgische Kulturstiftung, and the FrauenFinanzGruppe-Susanne Kazemieh (Hamburg). 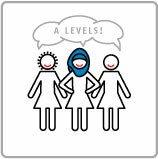 This was an intercultural workshop which began with the creation of a network of migrant women's associations. Eight workshops were carried out which led to a campaign during which 29,000 free postcards were distributed via 450 restaurants and pubs in Berlin. Similarly 300 bags were also produced. Furthermore migrantas took part in an exhibition entitled 'Stadt der Frauen', held in the Kommunale Galerie in the district of Charlottenburg-Wilmersdorf between November and December 2006. This was sponsored by the state of Berlin (LSK), and the European Social Fund (ESF). Five workshops were organised which led to a campaign using digital animations for TV. 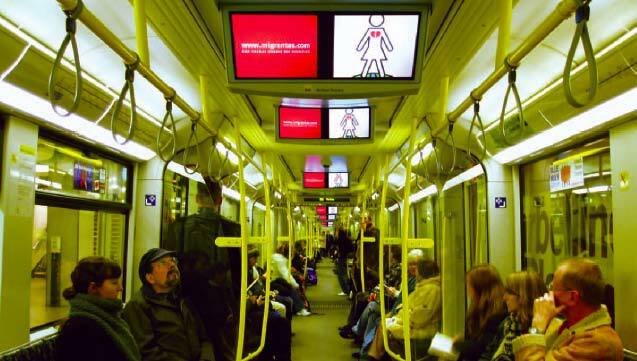 These were broadcast on the TV channel installed on Berlin's underground train network between November 21st and 25th 2006. An installation was also developed for the window display of the 'Galerie im Saalbau' in Neukölln, and was financed by the 'Berliner Senatsverwaltung für Wissenschaft, Forschung und Kultur', and Kulturamt Neukölln. Bilder bewegen II A campaign was developed under the auspices of the 'Ernst-Reuter-Initiative für Dialog und Verständigung zwischen den Kulturen' - a joint initiative started by the Turkish and German ministers of foreign affairs. This led to digital animations on Berlin's underground transport network being broadcast between December 18th and 23rd 2006. Eleven workshops were undertaken with women from 19 different countries. 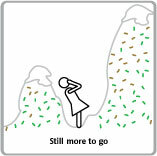 A series of 21 pictograms was developed and exhibited in the 'Galerie im Saalbau' between September and October 2005. 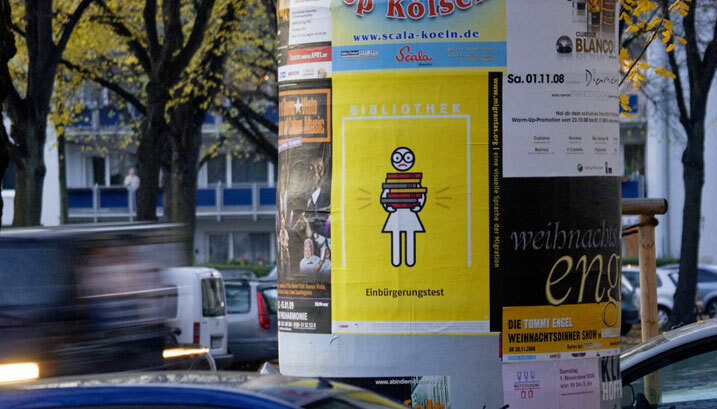 Three large format posters were installed in 90 bus stops in the district of Neukölln, and on three billboards in the districts of Kreuzberg and Neukölln. This project was financed by the 'Berliner Senatsverwaltung für Wissenschaft, Forschung und Kultur', and the Kulturamt Neukölln. 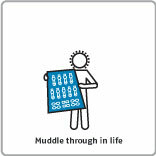 During 2003 a series of 12 pictograms were designed in Berlin. Between December 2003 and January 2004 the pictograms were installed in backlit advertising boards in the centre of Buenos Aires. Seven hundred booklets were published (Asunto Impreso, ISBN 9789505330010) – currently out of print. This project was sponsored by Publicidad Sarmiento. The Connections exhibition is about connecting. Connecting passengers travelling in the train filled with art, also connecting the pieces, countries and other people. Free postcards and stickers are delivered to all passengers. Through a participatory workshop Migrantas builds a bridge between experiences of migrants living in other districts of Berlin or cities, and experiences of residents in the vicinity of the art market hall by means of a visual language. The exterior facade of the Kulturmarkthalle shows a symbolic dimension through pictograms reflecting some aspects of social participation and the history (s) of the place. Migration, identity, intercultural dialogue and living together were reflected in the intercultural AWO meeting center, in the Kreuzberg district. Multicultural participants from different generations have selected in the course of the workshop which best symbolize their social participation in Berlin. This banner installed in the public space reflects the intercultural reality of the city proposed by its inhabitants. Master class + participatory action: selection of 8 pictograms with dialogue balloons, printed in large size to be intervened with the reflections of the students. Participation in the Conference:"Kunst und Revolution"
Participation in the meeting: Frauen Migration & Kunst. In cooperation with Fieber Festival, CitizenKcenter, Mamis en Movimiento e.V. and Frauentreff an der Wuhlheide. 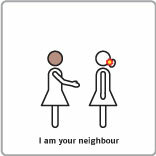 Master class + participatory action: selection of 6 pictograms with dialogue balloons, printed in large size to be intervened with the reflections of the public. Participation in the exhibition "New World. Visions through de Ibero-American Design Biennial. 2008-2016" Palácio dos Condes da Calheta, Jardim-Museu Agrícola Tropical (Belém) junto a la Universidad de Lisboa – Museu Nacional de História Natural e da Ciência (MUHNAC). Participatory action: the visitors select the pictograms that are part of the urban campaign. Part of the program of BABEL DES LANGUES / dar bellarj_CONVERSATIONS, an installation of the artist Hanako Geierhos on the subject of communication, tolerance and empathy within the exhibition „Narrating transformed“ curated by Heidi Brunnschweiler, a partner project of the 6th Marrakesh Biennale. Presentation of migrantas projects followed by a lecture by the anthropologist and sociologist Eleonora Castagnone on the categorization of different forms of migration with a focus on the „transit“ countries: Morocco towards Europe and Mexico towards the USA. The audience took part in the discussion and could also express or deepen their own thoughts through drawings. Realization of postcards with 10 selected pictograms in French and cloth bags with a pictogram to take-away. The jury awarded a mention to the project: On the road - Images of migration in urban space - CDMX. The Ibero-American Design Biennial (BID), organized by the Fundación Diseño Madrid, takes place every two years in the Design Center of Matadero Madrid and is the most important event in con- temporary Ibero-American design. The exhibition extends over time through its itinerant exhibi- tions that are held individually or within other festivals, meetings or design schedules. Previous BID editions exhibitions have been in Argentina, Brazil, Chile, Ecuador, Uruguay, Guatemala, Co- lombia, Cuba, Costa Rica, Panama and Hungary spreading good Latin American design. Roundtables on “Sealed Europe: Migration and Refuge” with: Maryam Namazie: (spokeswoman for Fitnah - Movement for the Liberation of Women, Equal Rights Now, of the One Law for All campaign against Sharia law in the country of Great Britain, and is a member of the Council of Former Muslims of Great Britain. Toni Martinez: reporter for La Marea. Author of the book “The CIE, the Spanish Guantánamo” Cristina Sánchez: journalist. Director of the RNE Program “Countries in Context”. Rafael Marcos: announcer at Radio Kras. Fotomovimiento: collective project, photographic and communication that was born in Barce- lona in May 2011 within the social movements of 15M in Plaça de Catalunya. Organized by CODOPA (Coordinadora Asturiana de Organizaciones No Gubernamentales para el Desarrollo), Auditorium Palacio de Congresos Príncipe Felipe de Oviedo . Frauenaktionswoche. Partizipation im Rahmen des Frauentags 2016. Hochschule Neubrandenburg, Rathaus der Stadt Neubrandenburg, Landratsamt des Landkreises Meckenburgische Seenplatte / Deutsche REntenversicherung. Organisiert von: Gleichstellungsbeauftragte Hochschule Neubrandenburg. im As part of the University Conference "Alice Solidarisch die Alice Salomon Hochschule Berlin engagiert sich. Kontakt aufnehmen, Potenziale einbringen, Perspektiven entwickeln" migrantas presents her exhibition with a lecture and a postcard action: five different pictograms as postcards to take away for free. Hacking space by digital media sounds & images | Multiple audiences, voices and public media | audibility, visibility, much unanimity, network-based cultural practices. free. Fotoaktion + Tragetasche Aktion. Gemeinschaftshaus Lichtenrade, Argentinische Botschaft und Rathaus Schöneberg. Organisiert von Bezirsamt Tempelhof-Schöneberg von Berlin. Abt. Bildung, Kultur und Sport. Amt für Weiterbildung und Kultur. Dezentrale Kulturarbeit. Part of the exhibition "Jüdische Lebenswelten in Deutschland heute". A project from Zeitbild Stiftung, sponsored by Bundesministerium für Familie, Senioren, Frauen and Jugend, Bundesprogramms Demokratie Leben! Aktiv gegen Rechtsextremismus, Gewalt und Menschenfeindlichkeit. A Two-day Workshop with international researchers, activists and artist. Organized by Humboldt Universität und Bard College Berlin. Travel exhibition part of the 22. AKF Jahrestagung. In cooperation withArbeitskreis Frauengesundheit in Medizin, Psychotherapie und Gesellschaft e.V. Migrantas: towards pictograms new language - Author: Cristina Figueroa Palau. Jorge Tadeo Lozano University. Publishers: Beltran Vega, F. and Duran Arias. Thoughtout migrazine.at - Nr 2-2015 the AEP digital edition is printed for the first time in magazine version wih the name "Throughout migrazine.at" and is the result of 14 stations collecting journalistic editorial work of the last six years. Editors: Assimina Gouma, Radostina Patulova, Cris Tasinato and Vina Yun. Migrantas accompanies each chapter with photos of urban actions. Travelling exhibition on the occasion of the German Diversity Days. The travelling exhibition organised by the migrantas collective entitled a visual language of migration was on display between the 3rd and the 20th of June. Conference and workshop in which the participants printed in bags the pictograms that represents himself. 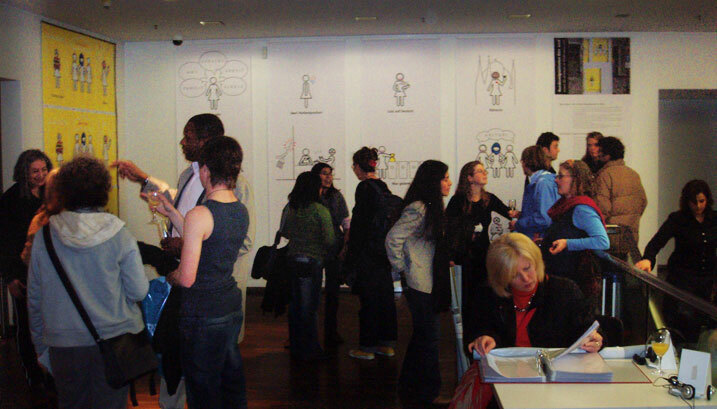 The conference focuses on the unique process through wich sketches are developed into creative pictograms and hoy migrantas uses them to express and make visible the every day experiences and feelings of migrant citizens, showing the results of the numerous socio-cultural projects that migrantas have undertaken between 2003 and today. Invited by Museumsbund for the Programm: Kulturelle vielfalt im Museum. Workshop + Pictogram Printing on bags. Invited by BID cuarta edición de la Bienal Iberoamericana de diseño. Organized by Dimad and Central de Diseño Matadero Madrid. Mai - Buenos Aires: Urban action: Medianera: 7mx15m, Santa Fe 5118 - 20.6 to 30.6 - Support: Initiative and Marca Urbana | Led-Backlight - Cabildo corner Juramento - 16. to 31.5 - Sponsored by: Initiative and Publicidad Sarmiento Exterior | September - Berlin: Panel Discussion + Exhibition + Printing on bags + Stadbanner + Free postcards: 29.09 Ibero-Amerikanisches Institut - Preußischer Kulturbesitz Postdamer Straße 37 - Berlin. Support: Botschaft von Argentinien, der Senatskanzlei Berlin and des Ibero-Amerikanisches Instituts | October - Berlin: Presentation + Printing on bags - 2.11 - Centro Metropolitano de Diseño, Algarrobo 1041, Buenos Aires. Support: Senatskanzlei Berlin. Can illustration be used as an activist tool? For the seminar: Visibility - The International Illustration Venue" migrantas present Visual expression of one´s own story, printed a publication and offerd a participative action in the Gallery Room 8, Bergen. For the Aktionsplans Weissensee-Heinersdorf migrantas present an exhibition for the visualization of migrants in urban space and offerd a participative action with bags, free postcards and flyers. On the roof space, which is closed to the public this year, the collective has set up a sign announcing a building site for an Angels’ Landing pad for 2015, as next year HÖHENRAUSCH will deal with angels and their doppelgängers. The questions raised on the sign open up a thematic field that ranges from our origins to communication with higher powers, all the way to birth and death. Part of the project Migrationsdienste-Unsichttbar. An exhibition for the visualization of migrants in urban space. Free postcards and flyers. From 05.06 to 06.06.2014. Diakonie Wuppertal Ludwigstraße 22 - 42105 Wuppertal. During the International Week Against Racism 2014. An exhibiton for the visualization of migrants in urban space. Free postcards and flyers. From 01.03. to 31.03.2014. Kulturzentrum Tollhaus. Alter Schlachthof 35, 76131 Karlsruhe. Conference and exhibiton of the posters from 2007-today, workshop wich participants in bags printed the pictograms that represents himself. Conference on urban spaces as sites for artistic processes and socio-political interventions and performances. 5. Dialogforum - Summer School 2013 Donau Universität Krems Zentrum Für Migration Integration und Sicherheit Schloss Gmunden Österreich. Kunsthalle Bahnitz From 4.05 to 15.07. 2013 - Curators: Bodo Rau, Rafael López Borrego andLisa Schmitz. Kunsthalle Bahnitz - Dorfstr.1 - 14715 Milower Land / Ortsteil Bahnitz an der Havel. In the context of the International Women´s Day. An exhibition on the visualization of migrants and their perspectives. From 11.03 to 30.04.2013. Freie Universität Berlin, Habelschwedter Alle 45, Foyer vor den Hörsälen. On the initiative of the zentralen Frauenbeauftragten der Freien Universität Berlin. In commemoration to the 130th anniversary of Otto Neurath's birth, art historian Maria Christine Holter and artist Barbara Höller curated an exhibition investigating the significance of Neurath's pictorial ideas for visual arts at present and for global communication. The show focuses on various strategies for using pictograms and pictorial statistic in realizing communicational aims, particularly in the clear and powerful visualization of political, social, global or purely individual agendas. 13th December 2012 through 17th February 2013. Opening: Wednesday, 12th December 2012, 7 p.m.
Cooperations: Austrian Museum for Social and Economic Affairs (founded by O. Neurath in 1924), Institute Vienna Circle at the University of Vienna (IVC). Media cooperation: DER STANDARD. The Berlin Senate Department for Education, Youth and Sience (SenBWF) organized on 21st of March along with the LISUM - National Institute for School and Media Berlin-Brandenburg the conference for teachers of secondary education in order to develop cross-cultural organization of school life and teaching. Migrantas presented their project "Europa-Kind + Europa-Schule". .
2012 | Exhibition | Your voices: On Motherhood | International Museum of Women. Artists, writers, photographers, and filmmakers around the world were invited to submit their creative work about various issues related to motherhood. The online exhibition explors moving work that showcases the feelings, perspectives, and experiences of motherhood from all over the globe. Six pieces were selected by a prestigious international jury as finalists for IMOW's Community Choice Award. Migrantas participates with various pictograms. Museum für Völkerkunde Hamburg + Mamba.Museo de Arte Moderno de Buenos Aires. Integration as a shared process | Aula Magna of the Faculty of Economics and Business, Campus de Guajara, University of La Laguna, Tenerife (Spain). Migrantas about "Being a part of urban space: mobility, migration and transculturality"
2011 | Metropilitan Award for Integration and Tolerance | Initiative Hauptstadt Berlin e.V. For the fourth time and under the patronage of the Minister of State to the Federal Chancellor and Federal Government Commissioner for Migration, Refugees and Integration, Maria Böhmer, a renamed jury granted migrantas with the second prize. The ceremony was attended by the Chancellor of the Federal Republic of Germany, Angel Merkel, who gave the introductory speech. The event was held on the 13th April in the atrium of Deutsche Bank, Unter den Linden, Berlin. Migrantas put an exhibition on display, which included pictograms, photos and text, as part of this international conference. The convention was organised by Network Migration in Europe e.V., in cooperation with the University of Bremen's Geography Department and the 'Bundeszentrale für politische Bildung' (Federal Agency for Civic Education). It took place between December 9th and 10th. Between October 5th and December 12th the Museum of the History of Immigration in Catalonia exhibited works of migrantas including original drawings, several series of pictograms, and images of urban actions. The exhibition compliments a presentation by the members of migrantas on the day of the opening and a public action during which postcards were distributed. 2010 | Exhibition and conference | Conference on intercultural communications and art | Sala Victoria and Filmoteca de Andalucía in Córdoba, Spain. This conference took place between April 9th and 11th and was organised by 'Córdoba Acoge' with the aim of bringing together and exchanging experiences about intercultural communications and artistic expression. New forms of art and culture were presented which developed out of the processes of globalisation and migration. Migrantas participated with an exhibition and a talk. 2010 | Conference | Tuning into Diversity | Millenaris Center, Budapest, Hungary. February 25th and 26th 2010. This conference was organised by the Hungarian broadcaster MTV and the Dutch NGO Mira Media. Representatives of ethno-cultural minority organisations and media professionals from 20 different European countries were present. The conference aimed to further an understanding of the increasing cultural and linguist plurality present in the European media, to present a forum for discussion and the exchange of ideas, and to strengthen communications between the media and minorities. Migrantas participated with an information desk. From October 31st 2009 to January 31st 2010. 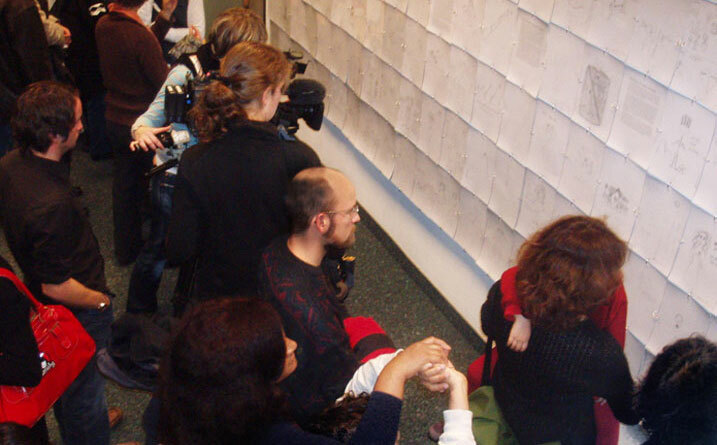 It accompanied a catalogue of events and an extensive program which included a discussion with the artists from migrantas on January 15th 2010. Action: 1,000 postcards printed with the pictogram 'Sind wir anders' (are we different) were distributed during the exhibition. Between November 21st 2009 and January 24th 2010, Gasworks London organised an extensive program in honour of the civil rights campaigner Olive Morris. This included a series of discussions and talks entitled 'Documenting Migration'. Migrantas was invited to take part in the discussions on December 5th 2009. Migrantas was commissioned by the 'Bundeszentrale für Politische Bildung' (BPB) to illustrate this volume from their 'Perspektiven politischer Bildung' series. A photograph of a migrantas poster was placed on the front cover, and each of the book's five main themes were introduced using a series of pictograms. The German constitution came into force on May 23rd 1949. 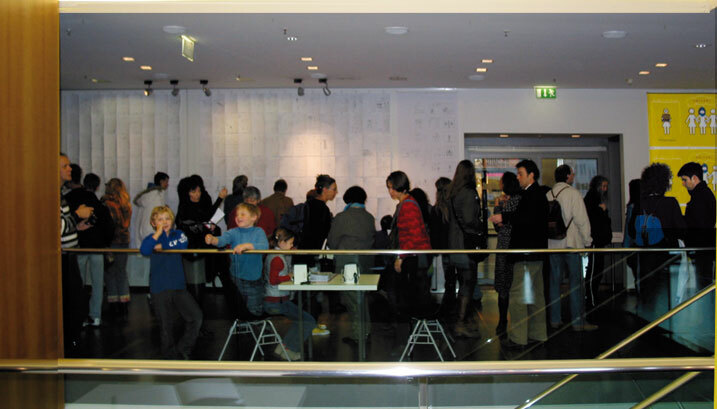 To mark this anniversary the BPB and the DHM developed an exhibition which was inaugurated on the first night of the 'Langen Nacht der Demokratie' in Bonn, on May 23rd 2009. The exhibition included texts, pictures, multimedia elements and other components which told the story of the formation, history, and development of the German constitution. The exhibition was divided into 9 sections and migrantas illustrated the part entitled 'Entwicklung der Bundesrepublik Deutschland zum Einwanderungsland'. Migrantas constructed a 'photo wall' which displayed pictures documenting one of our poster actions and pictograms. This exhibition was also on display in numerous other German cities including: Hannover (Ernst-August-Galerie), Karlsruhe (university), Brühl (Fachhochschule des Bundes für öffentliche Verwaltung), Weimar (Atrium), Mühlheim an der Ruhr, and Berlin (Bundeskanzler-Willy-Brandt-Stiftung). This exhibition focussed on the form of the contemporary German language. Migrantas provided a poster 'Sind wird anders', and pictogram 'Die deutsche Sprache', and their associated drawings. The exhibition 'man spricht Deutsch' was on display in Bonn, in the 'Haus der Geschichte' between Decmebr 12th 2008 and May 3rd 2009, after which it was displayed in various Goethe Institutes in Germany and abroad. The renowned Yale professors Seyla Benhabib, professor of political science and philosophy, and Judith Resnik, professor of law, invited migrantas to illustrate the front cover of their new book. 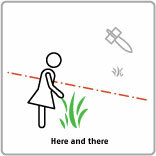 Migrantas illustrated the cover with a pictogram entitled 'In between two worlds'. Over the last few years the department of design has invited guests from near and far to take part in its 14 day public, interdisciplinary research forum called 'Salon de Recherche'. The aim is to publicly debate research results and methods, which transcend each participant's background. The migrantas collective was a guest at the conference and took part on October 9th 2008. Migrantas was invited by the Heinrich Böll Stiftung to present pictograms, photos and texts from our projects to the international convention entitled 'European Governance of Migration - The Political Management of Mobility, Economy & Security'. The conference took place between September 17th and 19th 2008. Florencia Young and Marula Di Como from migrantas took part in this one year long project called 'Die Migranten', a project developed by Tania Bruguera, a Cuban-US performance artist. She created a remembrance archive made for, and by, migrants along with its own party, workshops and empowerment strategies. Migrantas was invited by 'ZWISCHENRAUM für Kunst & Migration' to present our work as part of ZWISCHENRAUM's online gallery. ZWISCHENRAUM focuses on the subjects of migration, refuge, and cultural diversity. Their aim is to provide a space for the transitory re-interpretation of interior and exterior, and the self and the foreign, using the language of painting, photography and literature. Migrantas was invited to share experiences relating to the question: 'How do I think diversely?' This was the opening event of the first country-wide networking meeting held on February 22nd and 23rd, as part of the two-year long project entitled, 'Kulturelle Bildung an Ganztagsschulen. Klappe, die Zweite!' which was organised by the 'Deutschen Kinder- und Jugendstiftung'. Migrantas put its posters and pictograms on display in this exhibition aimed at providing an understanding of the meaning of 'foreign'. The exhibition was held as part of the development policy curriculum for school classes and policy influencers, in cooperation with NGOs from Berlin and Brandenburg between November 7th and 11th. It was organised by KATE – the 'Kontaktstelle für Umwelt und Entwicklung e.V.' (Berlin). La Fiambrera Obrera, a group of artists from Madrid, invited migrantas to work with them on a presentation and discussion about migration. This took place in Dr. Pong, on February 4th, and was organised by the Berliner Gazette as part of the transmediale 06. This travelling exhibition presents the results of the numerous socio-cultural projects which migrantas have undertaken in Berlin, Buenos Aires, Hamburg and Cologne since 2003. 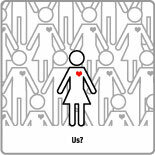 Bilingual texts and numerous images are used to explain the work we have done together with hundreds of migrant women. 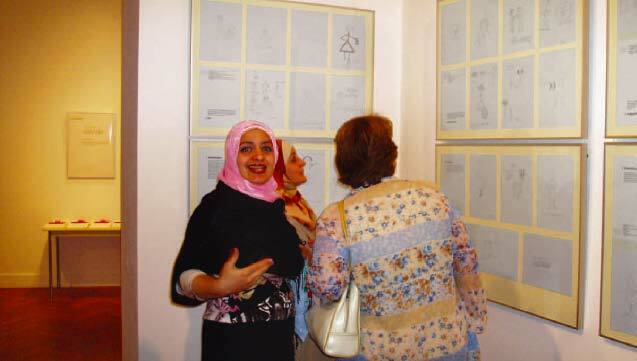 The exhibition focuses on the unique process through which sketches are developed into creative pictograms and how migrantas uses them to express and make visible the everyday experiences and feelings of migrant women. The exhibition is suitable for congresses, conferences, and symposia on migration and integration, as well as for display in public institutions and is accompanied by a presentation given by members of the Kollektiv migrantas. DOMID Dokumentationszentrum und Museum über die Migration in Deutschland e.V. After completing our highly acclaimed projects in Berlin, migrantas successfully expanded to other cities in Germany, including Hamburg in 2007 and Cologne in 2008. By making contact with local government representatives in numerous places, migrantas began developing a network which enabled us to further our socio-cultural project 'Bundesmigrantinnen – Bilder der Migration im öffentlichen Raum'. 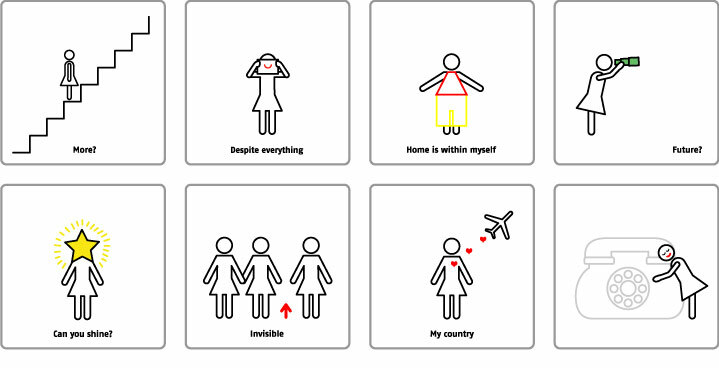 Pictograms which reflect the feelings and daily lives of migrant women not only highlight many of the often quite local trends in the participants' migrational and cultural backgrounds, they also depict the specific perceptions and realities of life in Germany's various cities and regions. We would be very happy to work together with individuals from other cities, local government, and social or cultural institutions in order to continue our project, 'Bundesmigrantinnen – Bilder der Migration im öffentlichen Raum'. The migrantas collective receives no funding for its day-to-day work. Instead, the collective´s work is made possible through the commitment of its freelance members. The diverse projects undertaken by migrantas, as well as those in wich the collective participates, rely on direct funding or funding provided through partner organisations. Although the actual form of funding granted depends on the location and purpose of each project, it always remains strictly project-based. migrantas has received funding from various institutions, and in the following, these organisations are clearly stated alongside the relevant projects. Buenos Aires and worked together with Florencia Young (graphic designer). Both met again in Berlin in 2002 and started “Proyecto Ausländer”, it´s about their experiences and feelings to be foringers in Berlin. In 2004 with the idea to spanded the project to womens from differents cultures, origins, residence status, cultural or social backfround decided to invite Estela Schindel (sociologist) and found together the collecive Migrantas. 2006 Irma Leinauer (urban planner) joined the collective, as did Alejandra López (journalist) in 2007 and Francesca La Vigna (political scientist) in 2013. In 2011 Migrantas has been awarded with the Hauptstadtpreis für Toleranz und Integration (“Capital City Award for Tolerance and Integration”) Initiative Hauptstadt Berlin e.V. Born in Buenos Aires, Argentina and has lived in Berlin since 2002. She is an artist, and has been exhibiting both on her own and with other artists installative, collaborative and participative since 1987 in dfferents formats , media. She developed their work in a context marked by the materiality of the tension between image and word, the relationship with nature, the sound, the feminine condition and the urban space. Her work can be found in international museums, foundations, and private collections. Born in Buenos Aires and has lived in Berlin since 2002. She studied graphic design at the UBA (Buenos Aires), and has taught typography at a number of universities. She specialises in corporate identity design and multimedia stations, but is also involved in art installations and interdisciplinary projects. Born in Buenos Aires and has lived in Berlin since 1999. Dr. sociology. 2005: Integration, 2006: Bilder bewegen, Interkulturelle Werkstatt, 2007: Bundesmigrantinnen Hamburg, 2018: Ich-Erzählungen. Born in Peiting, Germany and has lived in Berlin since 1985. Urban Planner. 2007: Bundesmigrantinnen Hamburg, 2008: Bundesmigrantinnen Köln, 2009: Postkarten-Sommer-Aktion, 2010: Sevilla Plural, Hier und dort Heimat, 2011: Europa-Kind + Europa-Schule, 2012: Unsere Neue Welt, 2018: Ich-Erzählungen. Born in Resistencia, Argentina and has lived in Berlin since 2001. Journalist. 2007: Bundesmigrantinnen Hamburg, 2008: Bundesmigrantinnen Köln, 2009: Postkarten-Sommer-Aktion, 2010: Sevilla Plural, 2018: Ich-Erzählungen. Born in Rieti, Italy and has lived in Berlin since 2009. MA Political Science. 2016: Brauchst du Hilfe?, 2017-20: My Health, 2018: Ich-Erzählungen. 2017: Zusammenleben in der Einwanderungsgesellschaft, 2018: Ich-Erzählungen. Taken on as part of LEONARDO DA VINCI programme in association with the 'Fundación General de la Universidad de Salamanca': Ana de Dios (2010); Ursula Mateo (2006); Eugenia Carranza (2006); and Neus Torres Bonet (2005). For the Erasmus Programme: Emma Anduix (2010). For the Alice Salomon University of Applied Siences Berlin: Ricardo Sousa y Margarida Ramos (2014). Eva Peces Guerrero (2015), Bard College Berlin: Clara Canales (2016), Universidad de Palermo- Bs.As. : Ailen Iza (2016). Responsible for the content of this website in accordance with paragraph 5 of the German Teleservices Act (TMG § 5): Marula Di Como und Florencia Young. Although external links were carefully chosen, we take on no liability nor shall we be made liable for the content of websites linked from this site. The content provided by these links is the sole responsibility of the external content provider. All rights reserved. This website is protected by copyright in its entirety. No part of this website may be reproduced or published or alteration in any form or by any means, without the prior written permission of both Marula Di Como and Florencia Young. 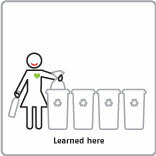 This includes all pictograms, data, texts, graphics, photos, drawings, pictures and all other parts of this website.